Discussion in 'Navy' started by Bhurki, Nov 25, 2018. 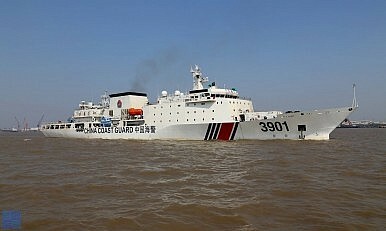 This thread intends to measure the active and near future capabilites of PLAN and respective capacities of USN deployable and under consideration for a probable conflict in the Asia-Pacific region and real world war scenario between the two major forces taking into consideration the current events and probability of US intervening in a Taiwan scenario and the South China Sea scenario. The threads that you quoted put emphasis on either USAF capabilites emerging from japan bases or Taiwan's capability to deter a direct invasion..
Not much of a 'what if' ..after the USS Decatur incident. USN ships have been regularly sailing within EEZ and 12 nm of China's reclaimed islands.. Its only a matter of time when a Chinese coast guard or other ships(disguised as fishing ships) intercept a US destroyer and exchange fire. It is important to distinguish between a highly probable event i.e. a skirmish leading to limited scale war in near China seas, and a completely hypothetical full scale war or nuclear war which is very hard to be specific about. I am not talking about the latter. what does the Pentagon do? So no discussion on orbat or engagement scenarios is allowed here? Sorry about that.